Chef Jose Garces updates Tinto menu. 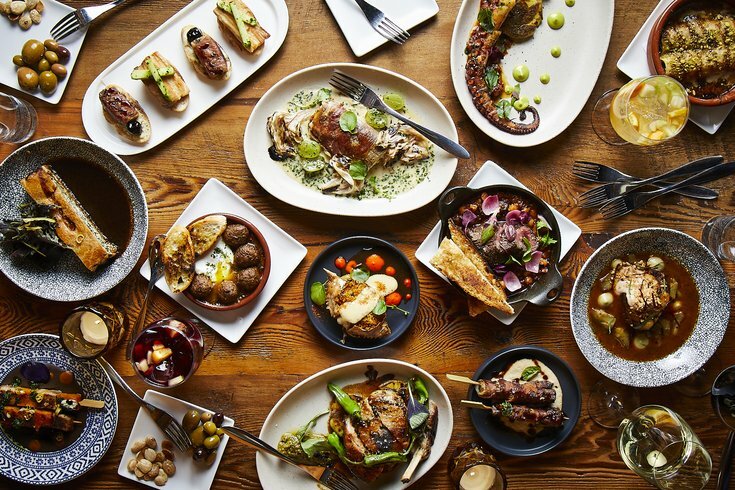 Chef Jose Garces' Tinto, a Spanish tapas restaurant in Rittenhouse, has announced a massive menu update – the biggest since opening more than a decade ago in 2007. 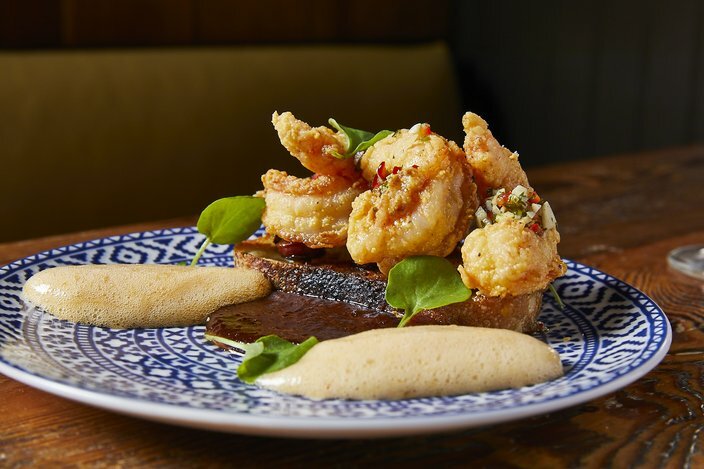 There are 18 new dishes to try, including Canelones de Pato (duck cannelloni), Gambas en Chocolate (shrimp in chocolate sauce), Mejillones en Escabeche (preserved Spanish mussels) and Brochetas de Atún (bluefin tuna brochettes). Shrimp in chocolate sauce is a new menu item at Tinto. Don't worry though, favorites like Duck Montaditos and Lamb Brochettes are still available. To celebrate the new items' debut, Garces will offer free pintxos – think small tapas – to diners for six days, from Feb. 8 through Feb. 13. Maybe make plans to celebrate Valentine's Day early? They'll be the served for the table to share, and will be the chef's selection from the new dishes. Reservations can be made online or by calling (215) 665-9150.